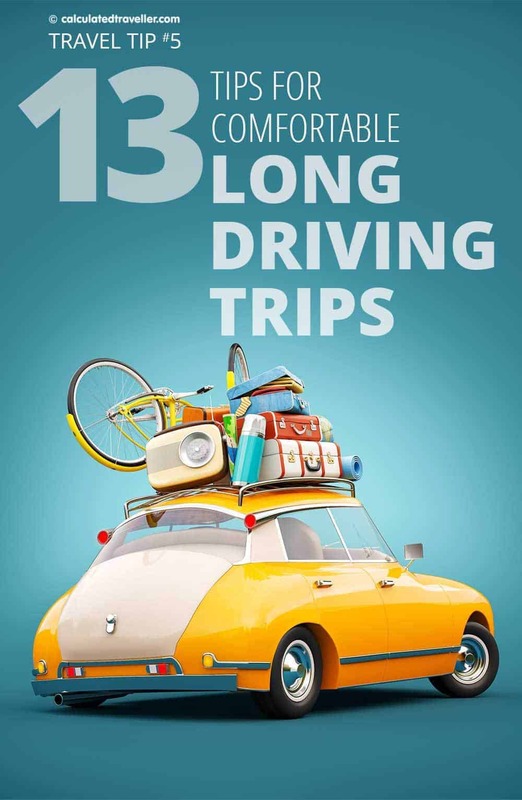 We’ve written before on the topic of road trips, and we regularly make the over 22-hour drive to Florida from Toronto so, I thought I’d do a quick rundown of 13 tips specifically focused on COMFORT for both the driver and the passenger. Dress in layers so that you can easily adjust to the changing temperature of the geography of your route without needing to go into your suitcase. Compression socks are the key to keep the blood circulating in your legs while you are inactive for an extended period. Comfortable shoes, sandals or slip on shoes for those quick gas station stops for gas or the restroom. As a passenger, I often take my shoes off in the car and the “lazy” in me doesn’t want to tie/untie shoe laces. Thin blanket. Hubby Ray likes to keep the car cool while driving so that he doesn’t get drowsy but I like the car comfy and warm. Since our car doesn’t have a high-tech climate control system, I use a low-tech blanket instead! Pillow for your lower back or for naps. Eyemask for daytime naps at a rest stop. Favourite Music or audio books. Radio stations may not always have your favourite tunes, so bring your own. Toiletries. I suggest you leave the basics like a hairbrush, toothbrush/toothpaste, mouthwash, and moisturiser inside the car so that you can refresh yourself without having to go into your suitcase in the trunk. What’s kept you comfortable driving long distances? – Driving to Florida – Is it really for you? – What Your GPS Doesn’t Know May Hurt You!